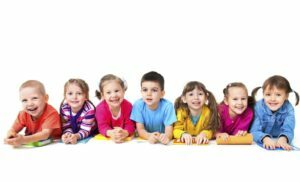 Preschool parenting time schedules after separation and divorce should be consistent, predictable, routine in nature, and fulfill the unique needs of the child and their parents. A child adjusts better once an ongoing routine has been established and is maintained. To promote a healthy adjustment, a child is entitled to spending time with each parent. Children between the ages of three to five are attached to their customary caregiver, and separation may make them uneasy and anxious. It is common for children this age to show increased emotional discomfort when moving between their parents’ homes. However, this behavior doesn’t automatically indicate that the child doesn’t want to be with the other parent or that the other parent is inadequate. Parents can make exchanges easier by following predictable schedules, shielding their child from conflict at the exchange and allowing their child to bring with them a transition object, such as blankets, stuffed animals or other prized possessions. Depending upon the parents’ availability and caregiving history, children during this stage may be comfortable with longer parenting time periods, including overnight or even up to four consecutive overnights. According to the Arizona Supreme Court Parenting Time Guidelines, and commonly indicated by other guidelines for preschool children, parenting time schedules can range from two consecutive overnights every other week with an additional three to six-hour period or overnight added each week when the child has previously spent most of the time with one parent and the other parent has limited parenting skills or has not yet developed a bond with the child. Under the same circumstances, the child may be able to tolerate three consecutive overnights every other week and an additional four-to six-hour period each week. When the distance from the non-custodian parent’s residence makes it unreasonable, the weekday period may be extended to an overnight stay. When both parents have a bond with the child or parenting skills of each parent are adequate, but where one parent has less available time than the other to devote to the child, the guidelines suggest four consecutive overnights during the first week and one overnight during the second week. Baris and Garrity, (1988), suggested that when parents live close to each other introduction of longer time-sharing periods for the child can gradually be presented throughout this stage to a maximum of a split week. Some preschool children may be comfortable with 5-2-2-5 schedule where parents have cared equally for the child or both know how to care for the child overnight or live close to each other so the child will not have to take long car trips between homes. In this schedule, each parent has the same two consecutive weekday overnights each week and alternates the weekends. However, the child is away from each parent during alternate weeks for five days, which may be problematic for some three to five year olds.